Make Monday the luckiest day of the week at Fair Go Casino with a 150% match bonus, lots of free spins, and a $25 free chip! Redeem the coupon code DOD-AW before your next Monday deposit of $20 or more to claim your 150% bonus to play your favorite pokies. Players who qualify can also play with the 20 free spins coupon code BANDITS220, but do not claim two no deposit bonuses in a row. The action does not stop there because April depositors can claim an extra $25 freebie with the bonus code below. Good luck! 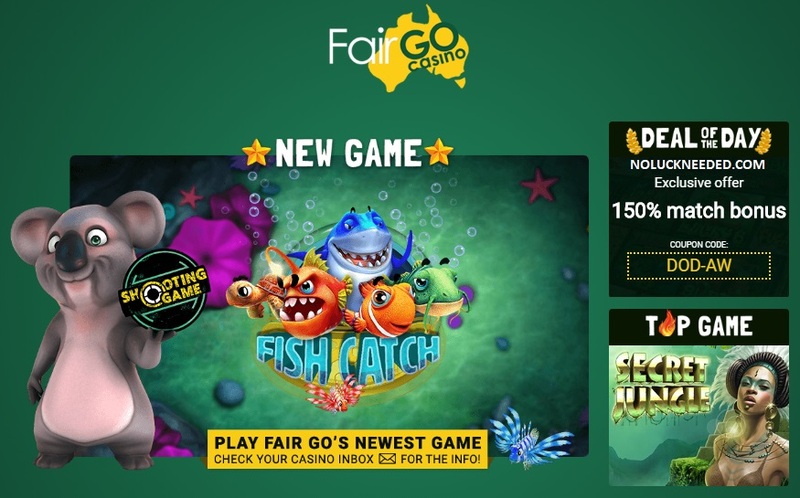 Claim your Monday Free Spins and Bonus Codes at Fair Go Casino!